morewheelspin is Marc Hanson’s blog about all things motoring related. Marc likes cars. A lot. Marc lives in Surrey and works in London as a lawyer. He spends most of his free time fettling and racing his cars in hillclimbs and sprints. His fastest car is a Jaguar XKR, his oldest car is a 1952 MG YB racing saloon, his most stately car is a 1972 S1 Jaguar XJ12, his rarest car is an MG SV, and his first new car is an MG F.
Marc acquired his taste for fast cars from his Uncle Adi who came to stay with Marc’s family (when Marc was 8) prior to the start of the London to Sydney Rally in 1977. 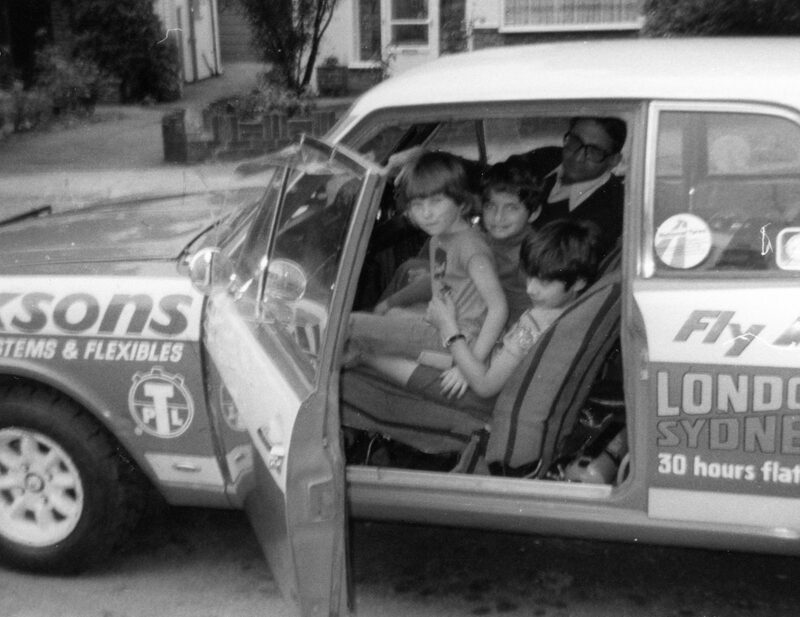 His Uncle, who raced and rallied in India, was one of the crew of a shiny red and white Lotus Cortina MK2, the only blue oval car that Marc would ever contemplate adding to his collection..
1977 London – Sydney Rally, Uncle Adi’s Lotus Cortina Mk 2. Thats Marc in the middle..